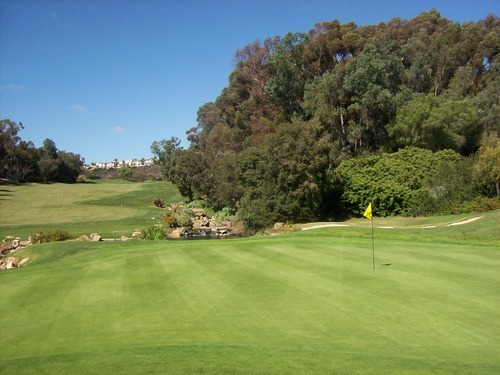 Well, it’s time to check another of San Diego County’s high-end courses off the list. 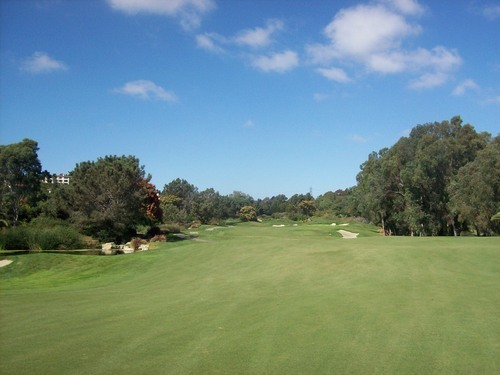 Torrey Pines, The Grand, Maderas and one of the La Costa courses have been conquered this year. 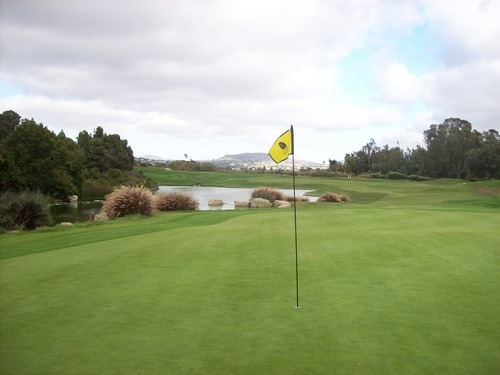 Aviara is one of them I’ve been looking forward to the most after getting a sneak peak earlier this year when I attended the LPGA Kia Classic tournament. The timing was finally right to get to play it today. 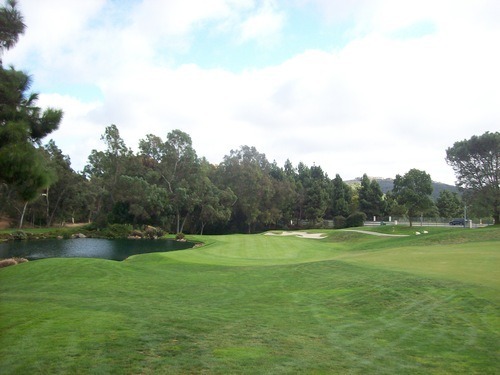 The main reason is because a friend of mine had given me a 2-for-1 coupon that he got when attending an SCGA outing at Aviara earlier this year. So I got together with another friend of mine and we finally got the round scheduled. To save even more, we went for the afternoon rate by booking a 1:00 time. The normal weekend price here is an eye-popping $235! After 1:00, it goes down to a still-whopping $180 a player, so the 2-for-1 coupon really helped out. At $90 each, it was much more enticing, though that’s still more than I generally will pay for a round locally. However, I knew I’d probably never come across a better deal than that, which justified things just enough for me. We got there quite early and during the 45 minutes we waited, grabbed a quick bite at the snack bar and practiced some putts, I never saw any groups teeing off on the first tee (though the starter had previously informed us it was a “busy day” and there were still several groups to go out before we were up). By the time 1:00 came around, there were several carts milling around the starter’s shed looking like they were all ready to go. We went over to get in line and he let us know we’d have a single joining us and there were two twosomes heading out in front of us (starting at 1:00). I’m not sure how we ended up third in line when we had the 1:00 time reserved, but we went with it and ultimately teed off around 1:15. Beyond that, the starter, Jerry, was super nice and welcoming. He got us pumped up for the round, gave us some helpful information as first-timers and warned us the front nine is much easier than the back nine (though my score would ultimately reflect otherwise). There were some fresh cookies and ice water by the starter’s area, and our cooler had two small bottles of water in it. That was a nice start, but on the course the additional water was only found in drinking fountains by the bathrooms. I don’t mean to sound like a snob because I’ll drink any water I can get on the courses I play most weekends, but for a course of this caliber (i.e., price tag and fancy resort affiliation), I would expect a little more. 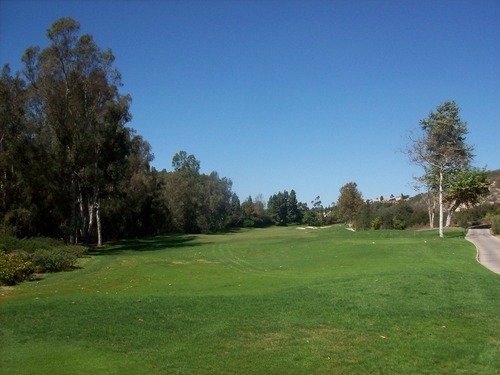 Once we teed off, things were perfect. We never really pushed the groups ahead of us and nobody ever came up behind us, so we enjoyed our own relaxed pace. When you pay this much to play here, it’s nice to be able to take your time and never feel rushed. The marshal did meet up with after the 14th hole and gave us all Tootsie pops. That was an unexpected, but fun, touch that I enjoyed. A 10-cent piece of candy goes a long way, indeed! Sorry to spend so much time talking about the service experience, but I do feel that’s a relevant topic on a high-end resort course like Aviara. Service, facilities and conditioning are generally what people shell out the big bucks for, so I feel it’s important to comment on these things more than I might normally would. 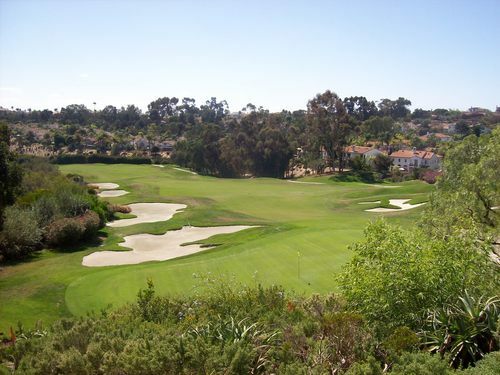 Now that’s out of the way, let’s talk about this really cool course at Aviara. I really liked the layout here. It’s just the right amounts of fun and challenge, with a diverse set of tee boxes so you can pick a version that’s right for you. 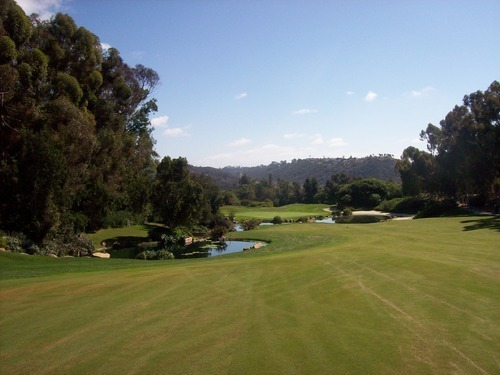 Aviara is an Arnold Palmer design and I generally enjoy his courses. Like others I’ve played, the aesthetic qualities here are perhaps the standout feature. The landscaping is beautiful. 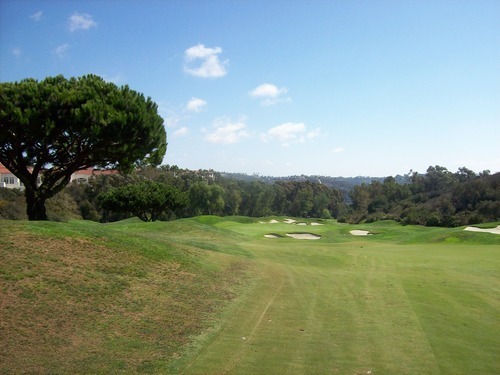 There’s desert canyon brush lining the outer edges of most holes. The big lagoon is a stone’s throw away in a few areas for a nice backdrop. 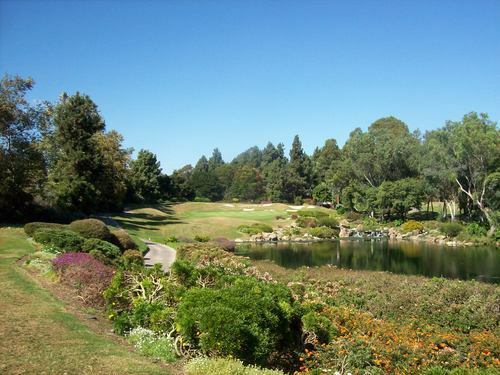 There are a ton of flowers and nice man-made water features, mixed with more natural hazard areas. 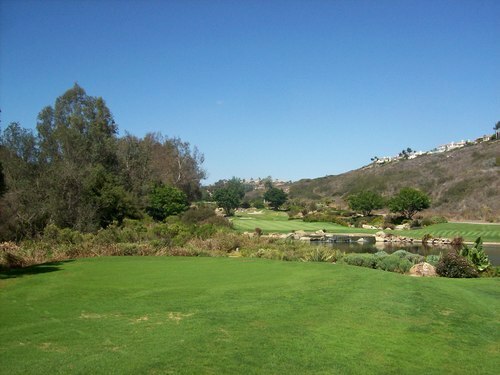 The course winds its way through the community and parts of the resort. 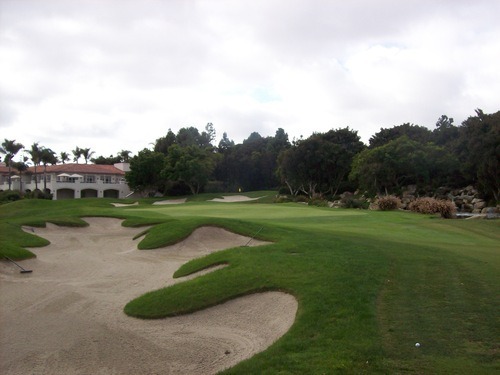 Nice houses surround many holes, but are well out of play, so nothing about the layout feels cramped. There are some nice minor elevation changes and a few big doglegs to contend with, but nothing too drastic. It’s a gorgeous setting and just a great layout on all levels. 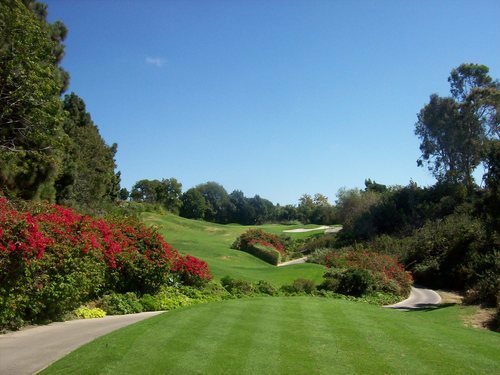 The par-3s at Aviara are all stunning. 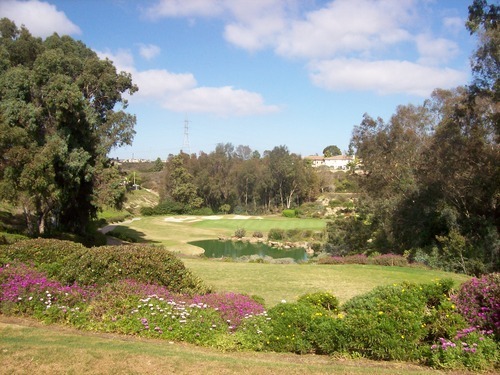 Three of them (3, 11 and 14) play over water and look fantastic, and the 6th plays uphill through a beautifully landscaped little section of the course. 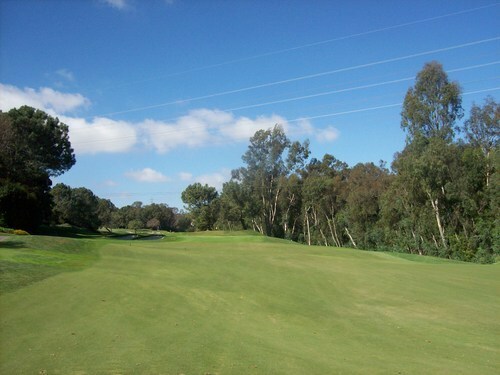 When I first visited Aviara back in March (see photos from that LPGA event here), I got to see the course in its full glory. 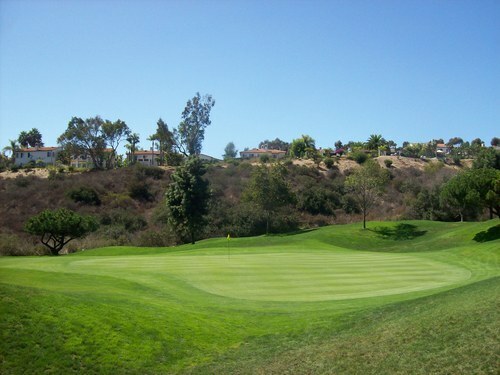 The course looked so beautiful that day, I fell in love with it then and couldn’t wait to play it myself. 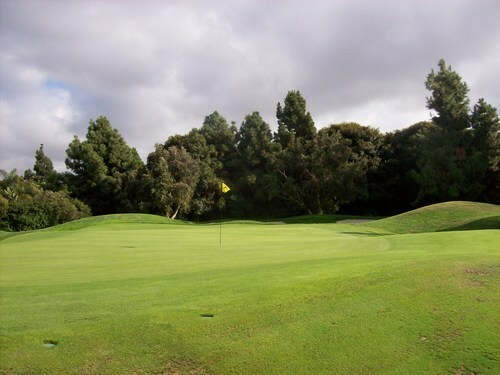 Alas, springtime is a better time of here here in SoCal as early fall brings more maintenance and/or “transitional” conditions on many courses. Unfortunately, that was somewhat the case today. 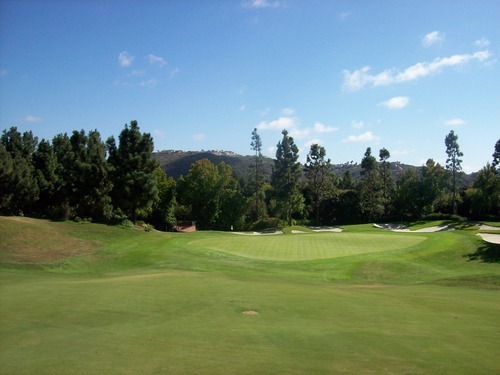 The course was just in “okay” shape. 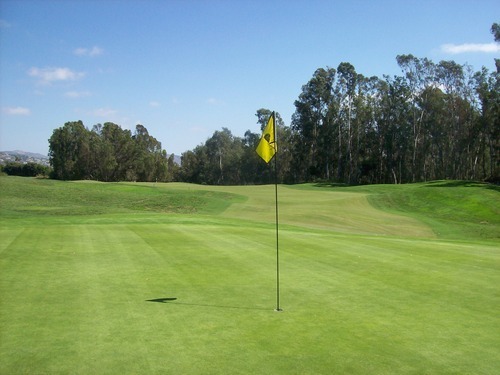 The fairways were a bit dried out, but had very nice soft surfaces and consistent fluffy lies on the bermuda grass. The one bunker I was in had pretty good sand. Beyond that, things were more inconsistent. The rough is still in mid-transition and is very, very patchy. There were some lush areas, but mostly the ball would just nestle between the clumps of grass (with very soft/moist soil underneath) and it wasn’t too enjoyable. I had some truly terrible lies today. When I called earlier in the week to inquire about conditions, the pro shop guy said it was in “great” shape all around. He did tell me they had just started overseeding the back nine tee boxes and those were basically scalped. I did appreciate that advanced knowledge, but I think he left a few things out. I will say the front nine tee boxes were still coming in somewhat and weren’t consistently cut, but I never had any problems finding a good place to set up on either nine. The greens were pretty good overall, but also quite inconsistent. A handful looked to have been aerated pretty recently, so sand and small holes were in play. The rest were looking and rolling pretty well for the most part. However, they did seem to vary a lot in terms of firmness and speed and that became frustrating. In a few more weeks, I would expect them all to be fully recovered and more consistent throughout. 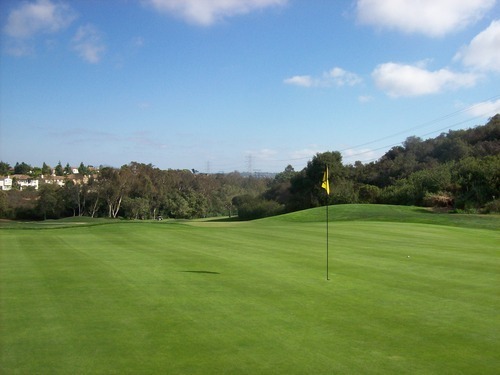 The greens at Aviara are very large, but don’t feature any real extreme undulation. There is plenty of natural slope here and I applaud the designers for not trying to get too crazy with them when it’s not really needed. 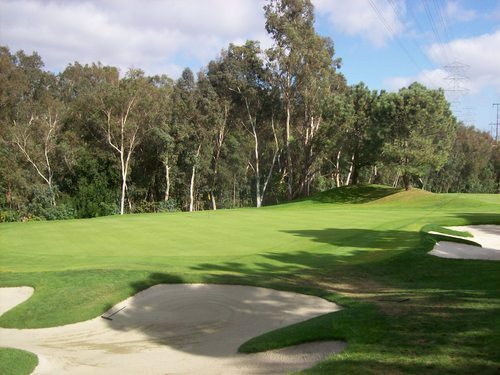 Even though conditions weren’t quite immaculate, Aviara is still a very aesthetically pleasing course with a great setting, nice landscaping and a really fun, challenging layout. Fortunately, I do know how fantastic it can look and play when in peak conditions. That said, right now, this is not a $235 course or even a $180 course in my opinion. The setting, facilities and lack of crowds do help justify a higher price tag in general, but even $90 seemed like a little too much today. In peak condition, though, the $90 I paid would be well worth it.